What would you do if your school suddenly implemented an absolutely ridiculous financial ruling? What indeed. While you think about that, here’s what the students of the prestigious St. Christopher’s school has done: they took control of the school, plain and simple, staging a lock-in protest! Because what could possibly go wrong, when you square off against not only the authorities, but the government too? A lot, as it turns out, in The St Christopher’s School Lockdown. Undeniably intriguing stuff, although unfortunately, the tale as a whole will span a grand total of seven episodes. That’s right, we won’t be able to experience the entire tale of this potentially disastrous affair until a later date. What we are getting in this first episode, however, is the story of Kayleigh – one of six playable characters – who didn’t realize what she’d walked into by entering the school grounds… until it was too late. She’s now part of the protest, come what may. Barricaded within the building and facing pressure from the police, the government and the media, the young St. Christopher’s crusaders are going to find out how quickly things can go from bad to worse. 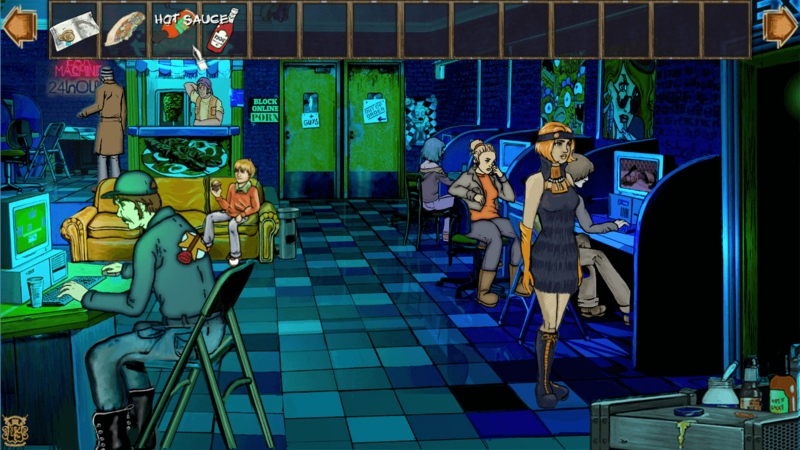 Now, as you can probably tell from the screenshot, The St Christopher’s School Lockdown is a point ‘n click adventure, featuring rather lovely hand-drawn visuals, giving the whole thing a bit of a comic book-ish feel. The font used in dialogue boxes and the fact that lines are delivered in speech bubbles attached to mug shots of the character speaking… well, that only further emphasizes this particular style. Oh, and alongside genre staples such as inventory puzzles and mini-games, a “collectible voodoo doll trading game” is also featured, because why not? The St Christopher’s School Lockdown is available from itch.io right now, and Steam, come October 18, carrying a £9.99 price tag.